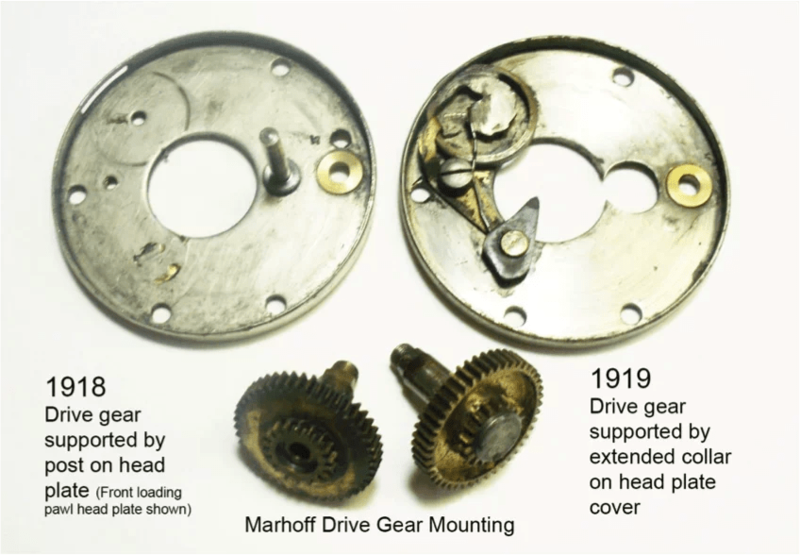 In the first 1919 Model Marhoff, Shakespeare introduced the idea of eliminating the post or spindle used to support the main drive gear, and simply use the drive gear collar on the head plate cover for support. 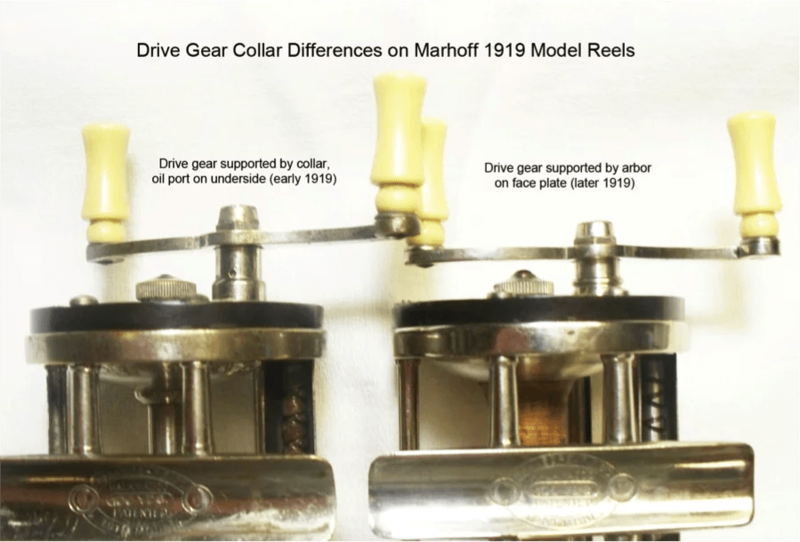 This required adding a brass bushing inside the collar, lengthening the collar, lengthening the drive gear shaft by inserting a steel mounting pin with a threaded end for the handle nut, and adding an oil port on the collar. 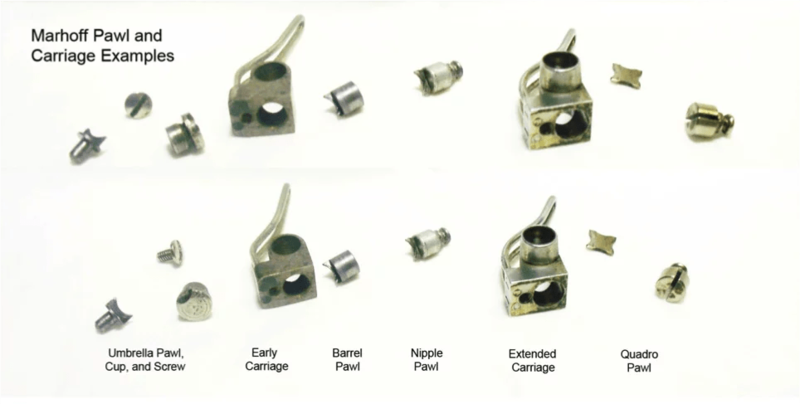 This type of drive gear mounting had (and has) been used extensively on lower end model reels by many companies. It had a short life with Shakespeare. Around this same time, South Bend was offering the 1131-B reel with the same type drive gear mounting. Shakespeare, during this same time, was manufacturing all South Bend’s reels. 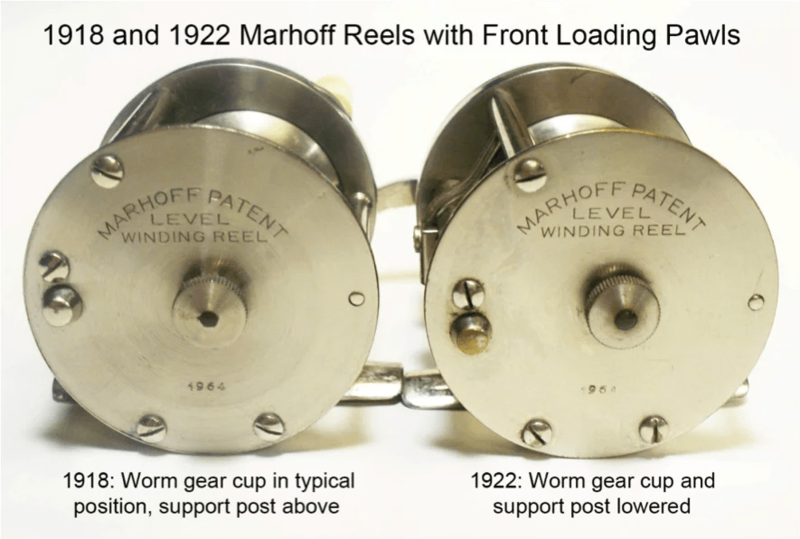 Neither company formally advertised these reels, and in both companies, the models were short-lived.